*This post may contain affiliate links. There is no extra cost to you. Please see our disclosure statement for further details. Friendships and social interactions can be a challenge for some teen and can be a challenging skill to figure out how to teach. They may have difficulty understanding the numerous social interactions and how to respond or understanding non-verbal behaviors. Making friends is a skill that can take time and practice. You can help your teen by talking through different social situations, role playing, getting involved in social groups, practicing out in the community, observing others, watching videos, using picture cards, or involving family members to do activities with. Our family understands that making friends can be hard and not easy. Especially living a more rural community where my brother is homeschooled, it can be a challenge to find community events or groups to be apart of. We always want to be there to support my brother in what he wants and what he wants to work on. He loves video games and one way he has been able to socialize with others is through playing video games with family members and online with other kids. Always think about your teens situation and what they want out of friendships. Help guide them for what will help them the most. 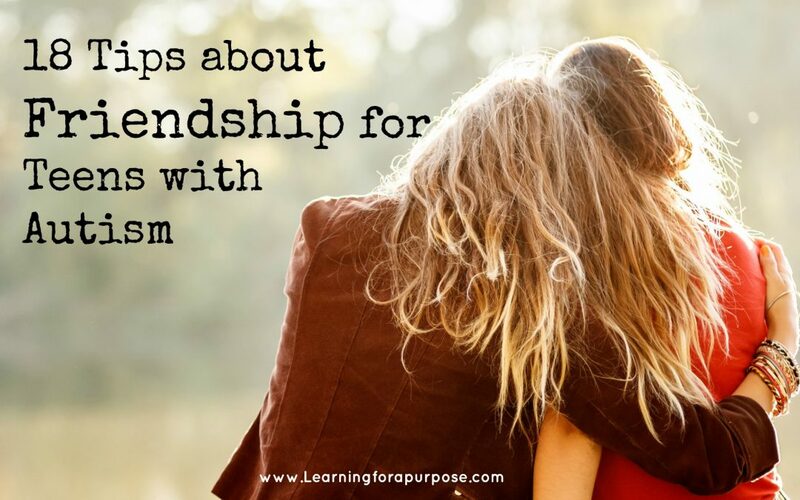 We created a list of ideas that we felt may be helpful for you to think about when helping to teach your teen about friendships and how to make friends. Always think about activities your teen enjoys and this will better allow for a more natural way for your child to make friends with common interests. Do not force relationships if they are not there. Think about activities your teen enjoys to participate in and are there group activities that they could get involved into meet more people with common interests? Try researching your community and find groups such as a video game group, cooking, sports, museums, church, boy-scouts/girl-scouts, or even Lego Club. Help your child find the right group of friends who will consider them an equal, share some of the same interests, and accept them for who they are. You could help them find a “tribe” of close friends, which may be just one or two other kids. Picture Cards can be helpful to show a variety of emotions on faces as well as body language. These strategies can help someone learn the visual cues for understanding different emotions when interacting with someone. This can help them identify anger, sadness, frustration, or if they are annoyed. Try finding video clips online to show the different emotions as well to help them better understand visual cues for emotions. You could try out these Stages Learning Emotion Picture Cards . Learning how to ask questions are important skills when talking with friends. Friends would not want to only hear us talk about ourselves. Ways to practice this skill could be through role playing. You could play a game show or pretend to be a reporter on the news and you need to ask appropriate questions. We have created a freebie just for you as possible small talk questions you could go over with your teen to help them feel more confident about asking questions to their peers. Download the freebie below! When making friends it is helpful for them to find activities they can enjoy together. You could try finding activities of common interest through having friends over to your house and creating fun activities they will both enjoy. You could make lunch together, play video games together meet up at the local park, go rock climbing, go to a movie, or go to the mall. Learning how to invite friends to over to your house or to go someone is a good skill to understand, especially to keep our teen safe. We want to make sure they understand that they need to know the person before inviting them to their house or to go some were in public. Talk to your teen about stranger safety and how to know if you can trust someone or not. This can help keep them safe! Sharing is typically a part of friendship. Help your teen understand that it is okay to be able to share things with our friends. When they come over to play games, it is okay to share our video games with them so we can enjoy something together. Talk about how to share and what are appropriate things to share with our friends. Learn how to take turns through talking situations. Practice this through games or every day situations with either going first or last. Sometimes we can get jealous of our friends if something good happens to them or they get to do something we don’t get to do. Talk to your teen about jealousy and how to be happy for our friends if something good happens to them. If they get an award or noticed at school for something you can help teach them how to congratulate their friend. When we interact with others, we can go through feeling a variety of emotions. If something is not going our way, how do we deal with the frustration and anger? Help teach your teen effective coping strategies and ways to identify their own emotions so they can tell when they are getting frustrated. We will likely experience conflicts when we are interacting with friends. We will not always get along and will need to be able to identify when we need to say sorry or apologize for certain actions. Talk to your teen about strategies to help them understand how to solve problems and resolve conflict. Create a list of strategies your teen could use to help them understand how they could resolve conflict. When they get angry are they going to walk away and let themselves calm down before talking about the situation? Empathy is your ability to understand and share the feelings of another person. Empathy helps us to relate to our friends. Talk to your teen about empathy and situations on how they may need to put themselves in another’s pair of shoes. Talk to your teen about ways to show kindness to others. You can talk about ways you can help others or compliment someone. Showing acts of kindness is a great way to show others that you care. If you are having a hard time finding others for your teen to connect with, their teacher may know of kids at school that would be a good fit for your teen. Understand when your teen has had enough with socializing or may need time away from others. Pay attention to their non-verbal behaviors and notice when they have had too much. Help them to learn how to identity when they have had enough in certain social situations and when they need to walk away or tell others no. We all need breaks from others as a way to re-boot our own body systems. Help your teen analyze how a social situation went to help them better understand future situations. What would you have done different next time? What went well about the social situation? Always be a good advocate for your teen. If you need to, talk with parents, teachers, or students about your teen and some things that they may struggle with to help others be more aware of the situation. Advocate for equal rights at school and out in the community. Make sure you are talking with your teen to know what they want when it comes to friends. Your teen is the number one priority. What do they want? Do they want to make one friend or lots of friends? What goals does your teen tell you they want to work on? Help your teen identify their goals and learn to break down those goals into small accomplishable steps. We would LOVE your help! Fill out a couple questions with honest answers to help us best be able to serve you and your family on your journey to helping your teenager with autism as they start this transition phase into adulthood. We went to provide you with amazing resources and content that will best serve you! Check it out here and then you can download our FREE Checklist! We also wanted to share with you some more resources to help you find teaching strategies for you and your teen. Below are a list of books that we thought may be helpful for you and your family when talking about social skills and friendships. Please let us know if there are strategies that have worked well for your family and your teen when it comes to making friends. We are always wanting to learn from you as well! *This post may contain affiliate links. Please see our disclosure statement for further information. I am not misbehaving, I do not know how to act in social situations. I do not understand how to read body language or how to ask for help. I don’t know how to hold a conversation with my peers. I may look like I am not paying attention, but I am listening. I may not understand how to be okay with change in different situations. I may get taken advantage of because I don’t know how to advocate for myself. I don’t know who to trust or how to ask for help. I also don’t know how to say no to people. I may get myself into trouble, because I don’t know how to evaluate a situation to understand if this is risky. I have a hard time understanding if this might be an unsafe situation for me to be in. I am not lazy, I may not understand how to care for myself. I may need help with managing my money, how to cook a meal, taking care of myself, going to the store to buy things I need, or how to use transportation to get around. I can have a hard time figuring out how to manage my day and how to manage my time. I want to figure out how to organize my day, but I don’t know how to plan out my day. I don’t know how to create a “to do” list or how to plan ahead for changes within my day. If my schedule changes, I can become frustrated and not know how to deal with this. I want to have a job doing something I like, but I don’t know how to find a job or how to be a good employee. I don’t know how to talk with my co-workers. Sometimes I can get so anxious that this keeps me from going outside of my house or trying something new. I don’t know how to deal with these overwhelming feelings of anxiety and fearfulness. Are these questions that you can hear your teen telling you? 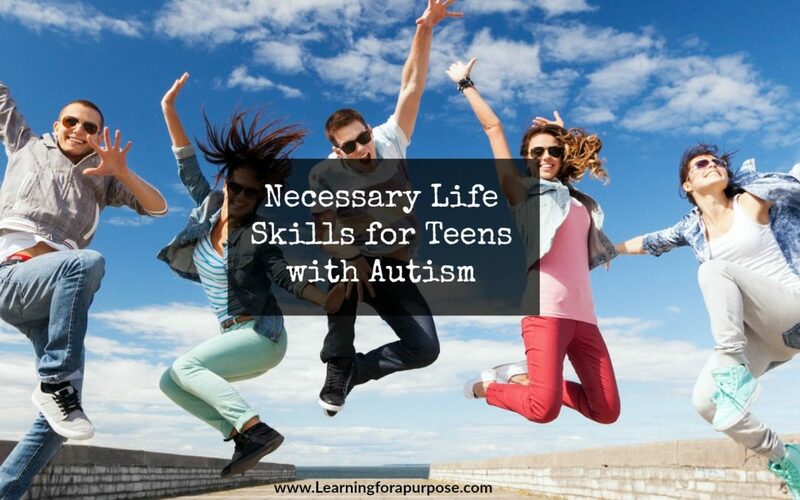 Do you know how to help your teen learn how to deal with these every day life skills? Can you picture where your teen may be at in 5 years? How do you picture them living and where do you see yourself as the parent for them? Life is a journey for all of us and we all go down different paths. As a parent, we want what is best for our child. We each have a different meaning of success for our child and what their adult life may look like. Everyday is an ongoing process for us to build our own skills to become the person that we want to become. We all have skills that we are really good at and skills that we need help with. Some may always need support in certain areas of their lives. The more we can think out the future for our teen, the sooner we can start to work on building their strengths and weaknesses. Hopefully we will have a better idea of where they might be in 5 years to meet their individual levels of success. This would also be the area of social skills. These skills would be things like making friends, asking for help, working in a group, communicating in person or online, holding a conversation with someone, or talking with family members. These are just a few of the social skills we may use every day in our lives. Social skills is such a broad topic and can be very overwhelming to think about how you may go about teaching all of these skills to someone. Social skills can be taught in a variety of ways through social stories, social scripts, practice out in the community, through social groups, acting classes, or through books. Check out your local community to see what resources they may offer for you. Sometimes finding a peer or a mentor for your child to talk through and practice through some of the different scenarios can be helpful as well. Teaching teens how to get their needs met is such an important skill to learn. Do they understand how to ask for help, who to go to for help, how to ask questions, how to say no, or when to give their own opinion. 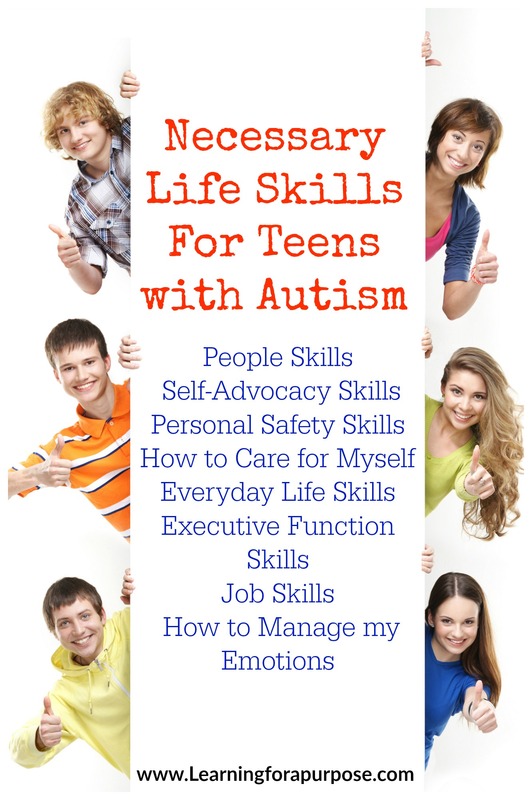 These skills are vital for your teen to learn to be able to get their own needs met. Keeping your teen safe is a huge priority! Nothing scares me more then seeing kids being taken advantage of because they can’t defend themselves. Do they know how to call 911 in an emergency, how to avoid risky situations, how to tell someone no, or understanding when they are in a bad situation. Do they know who they can trust and who is a stranger. There are so many dangerous situations that sometimes we don’t realize are dangerous until they happen. Talk with your teen when they are going into new situations to help them be aware of some potential risky situations. Talk through what to look for and how to assess their environment to unsafe situations. Teach them red flags to help keep them safe. These would be personal care skills such as daily hygiene, dressing, nutrition, exercise, or coping with stress. Can they complete the basic every day life skills to be able to care for themselves independently? Check out our ebook Everyday Life Skills Personal Hygiene Skills for the Bathroom to help you teach your teen personal hygiene skills. Break down the steps to complete each skill to help your teen. Create checklists, visual sequencing cards, or use verbal directions until your teen can find strategies that help them learn the skill. How to Teach Teenagers with Autism Personal Hygiene Self-Care Tasks. Does your child or teen struggle with personal hygiene skills due to sensory challenges? Check out our free Personal Hygiene Sensory Strategies Toolkit for help! Practical every day skills could include cooking meals, shopping, budgeting money, using transportation, home care tasks such as cleaning, laundry, or doing the dishes. If they were living in an apartment or home would they understand how to care for their home to keep it clean and safe? Would they be able to make meals for themselves and safely prepare foods? Include your teen in these activities everyday to help them practice and understand this routine. Provide them with visual supports such as checklists or visual sequencing cards. They may need verbal prompts as well. Check out your local community to see if they offer classes to help with some of these skills. These are skills that help us organize our day. They help us understand how to manage our time and what our routine will be for the day. They are skills that help us plan for our day with understanding our “to do” list, plan ahead for changes in our day, or how to analyze a situation. These are higher level problem solving skills to help us make decisions each day. How will your teen learn to support themselves? Will they be getting a job? How do you help them find a job, create a resume or gain work experience? Help your teen think about jobs they may like to do or have good strong skills to complete. What are their strengths? Would they do better working on their own or with people. Helping them find a job with their strengths with help them better succeed at the job. One way to find job opportunities is through volunteer work. Seek out potential jobs that your teen may be good at is contacting local businesses. You could try contacting local sports programs, libraries, grocery stores, churches, or community programs to see if they offer any volunteer opportunities that would be of interest to your teen. Also do some research for community services in your area to see if they offer job coaches or vocational supports for your teen. Our emotions can make a big difference for us during our day. We can start our day feeling happy or we can feel sad. If we can’t understand how to manage our emotions we will have a hard time getting the things we need to get done. If our fear and anxiety get too big, we may not be able to go out into the community. Help your teen through their emotions by using affirmations, building upon their strengths, journaling, talking to them, letting them share how they are feeling with you, or finding calming strategies for them. Check out our Free Calm Down Strategies Toolkit for more tips and resources for calming strategies. Looking for more Autism Resources? Check out our 180+ FREE Autism Resources! Disclaimer: Sara Anderson is a pediatric occupational therapist. The advice in these tips are not to replace medical advice from a physician or your pediatrician. Please consult their advice if you suspect any medical or developmental issues with your child or teen. These tips do not replace the relationship between therapist and client in a one on one treatment session with a individualized treatment plan based on their professional evaluation. All activities are designed for complete adult supervision. Please use your own judgement when completing these activities with your child or teen. Learning For a Purpose is not liable for any injury when replicating any of the activities found on this blog. *This post may contain affiliate links. There is no extra cost to you, but if you purchase something through our link this will help our family. Please see our disclosure policy for further information. The Holiday season is quickly approaching and this can bring about excitement, but also new experiences for you and your child. They may cause your family more anxiety and stress with learning the new social situations. These new experiences could include the new holiday decorations inside and out, new foods to experience, family gatherings, and exchanging and receiving presents, just to name a few. All of these new experiences can cause a lot of sensory overload and anxiety for some kids and we need to be mindful of that this holiday season. How can you tell when your child is experiencing sensory overload? Pay attention to your child’s behaviors. Are they covering their ears or closing their eyes? Are they running away from the situation or crying and melting down? These can be some signs that your child may be experiencing sensory overload. 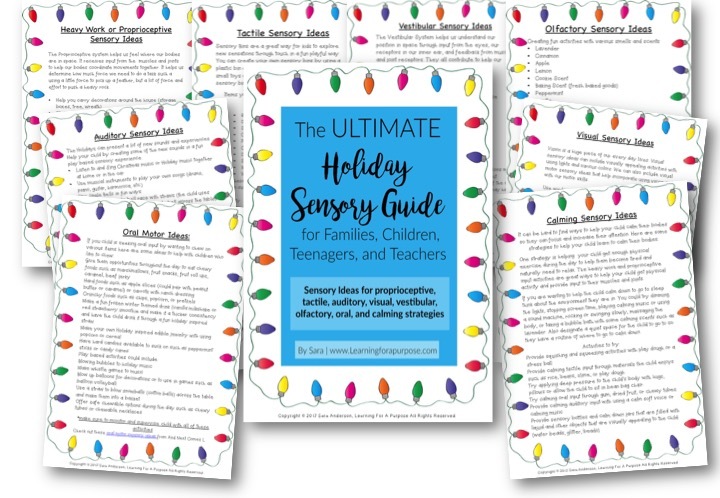 Check out our FREE Ultimate Holiday Sensory Guide and download the guide below! 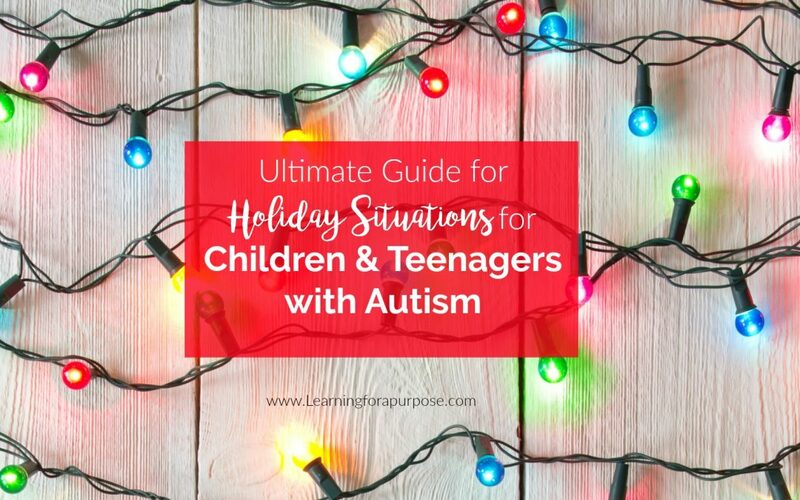 This guide provides your with fun holiday and winter sensory strategies to help your loved one have a great Holiday Season! Avoid large crowds by shopping online or going at times during the day when the stores are less busy. When decorating your home inside and out, do this gradually to help your child adjust to the new decorations. See if there are ways they can help participate in this with you so they can be apart of the decoration process. We found some Holiday LEGO sets that may be a great option for kids that love to do LEGO activities that they could put together and then you could all enjoy the Holiday masterpiece! Check out this Holiday LEGO Train set!! 3. Help your child figure out calm down strategies when they start to feel overwhelmed. This could be finding a safe place in the house where they can calm down and relax. Are there certain toys/games your child enjoys that helps them calm down. My brother loves being able to retreat to his iPad or his computer when he is feeling overwhelmed. If you are at a family members or friends house see if they will allow your child to retreat to another room where it is quiet and they can regroup. 4. Make sure to give your child/teen breaks throughout the day/activity so they can recharge and adjust to the new setting and/or people. 5. Never feel like you have to go to events/activities that you know will be overwhelming for your child/teen. Do what you feel is best for YOUR child to have a great Holiday experience. Try to see the world through your child or teenager’s eyes. If they aren’t having a good experience, I am sure you are not either. 6. Help your child understand the new routine and if there may be any changes to the plan, so they can better prepare themselves for the new situation. If you need to, try to keep things in a familiar routine for your child especially with bedtime rituals to help them get enough sleep. I know if I don’t get enough sleep, I am not able to be the best person the next day. 7. Prepare some quiet time activities to do together to help your child through some of the busy times of the Holiday Season. Check out these Christmas No Sew Quiet Books! 8. Help your child by talking through new situations so they can feel more prepared for the new situations they may encounter. 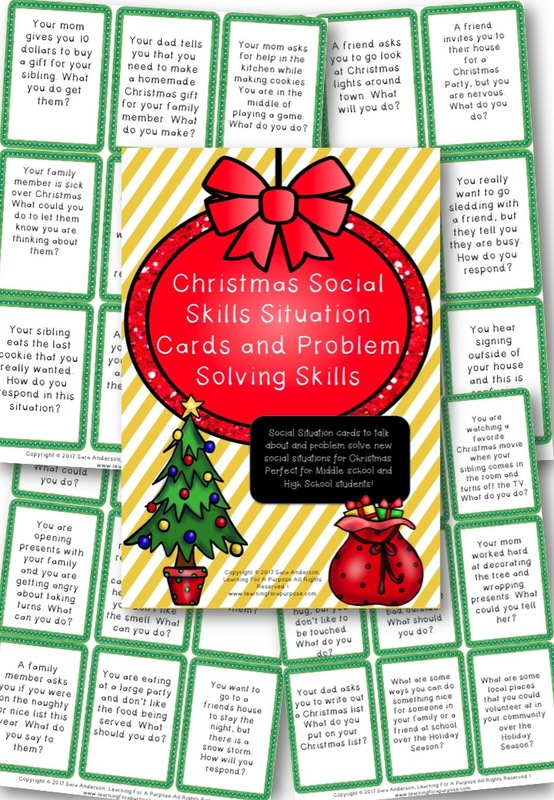 Check out our Christmas Social Skills Situation and Problem Solving Cards! 9. Be proactive and understand that meltdowns will happen during this time and know that it is okay. Recognize the signs for your child to understand when they are starting to feel overwhelmed. Do they start to shut down and retreat, do they run away, do they scream, or do they cry? Try to understand what situations are really hard for your child and try to adapt them so that your child can participate, or it is okay to sit some activities out if it is just too much for your child. Does your child struggle with the transitions between activities or do they have a hard time waiting their turn if you are opening presents? You could try playing games during the waiting times together. Do they like counting or letters? You could play an I spy game or a scavenger hunt. They could also be the one in charge or handing out the presents to everyone, so they have a specific job to complete. You could play a Christmas song they enjoy and let them know that when the song is over, then it will be their turn again to open presents. Maybe they need to open presents slowly and just open one up and then have the opportunity to play or interact with that present for awhile and then come back to opening more presents. You could try to play interactive physical games during times of waiting or during transitions. You could pretend to be a penguin and waddle around, or jump around like a reindeer. You can make colorful dots out of construction paper and make a colorful ornament obstacle course where they can only step on certain colors. You could play musical chairs with Christmas music. You can always try to use visual timers to help with wait times as well, so the child understands how much time they need to wait for. You could provide them with a tactile or fidget toy to play with during wait times. Looking for more Behavior Strategies? Download the PDF Guide and Strategies below by entering your name and email! You will be sent this FREE resource right to your inbox! The Holiday’s can be a stressful time of year for everyone, but especially for children with sensory concerns. 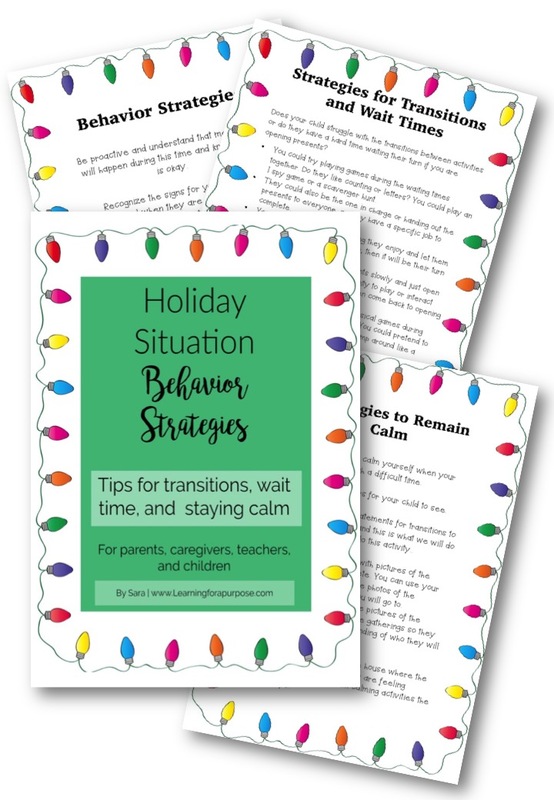 We hope that these strategies can be helpful for your child and your family to help you all have a wonderful Holiday Season! We would love to know if there are strategies that were helpful or if you would like to add more to the list as well! Let us know in the comments below!! 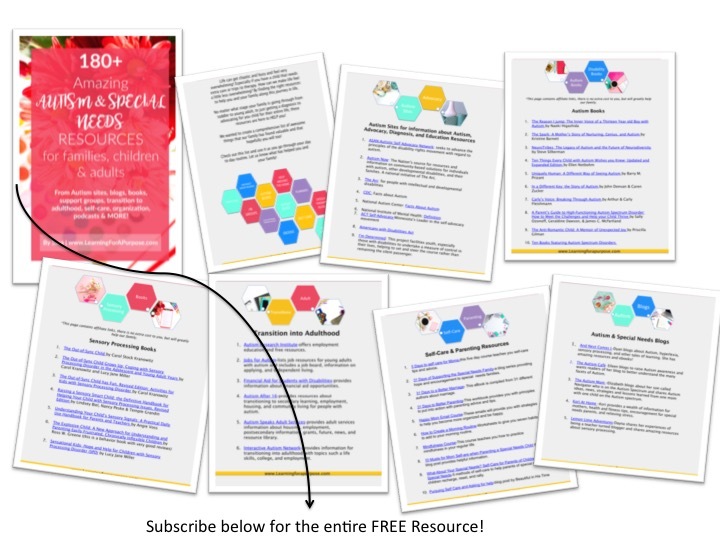 Are you looking for more Amazing FREE resources? Check out our 180+ Amazing FREE Resource Guide for Families with Children with Autism! It is that time of year for the Holiday season and this can bring on new experiences, especially new social situations. These new social situations can bring added stress for children and teenagers with autism. Thanksgiving can be a time when we get together with extended family members and this could mean answering a lot of new and confusing questions, especially if the extended family members may not understand your families situations. 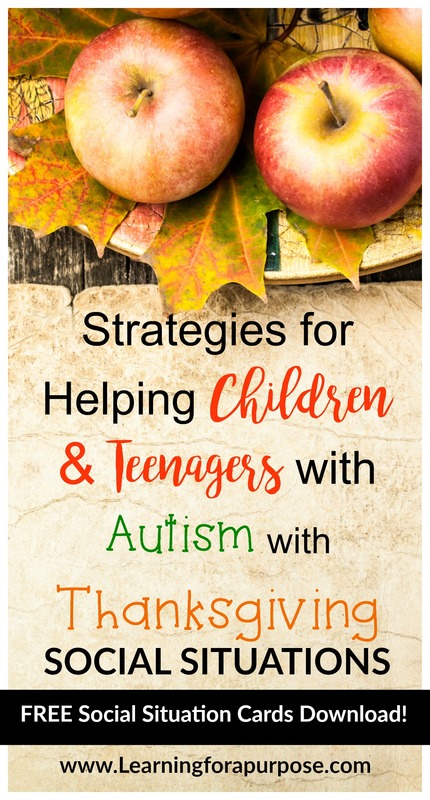 If you are going to a family members house for Thanksgiving or even having family members over to your house here are some strategies to help your child or teenager feel less stressed. Every person responds to situations differently, and it is important to try to understand what situations are stressful for your child or what activities may be harder for them to deal with. Below are some strategies that you can try to help your family situation. Talk with your child ahead of time about the family gathering so they know who might be coming and what they can expect for the family gathering. Are you going to just eat lunch/dinner and then sit around and watch TV, or will there be games/activities to do with the family? Some children like to understand what will be happening ahead of time and this can help ease anxiety for some children if they know what to expect. If your child becomes overwhelmed by a large group of people try to have a plan ahead of time to help your child. Some examples could be find a room in the house where your child can retreat to, to find quietness and do an activity they enjoy. You could bring a game, book, music, or electronic that they enjoy to help them calm down. If you can tell they are getting stressed and anxious, help them in those situations by talking with them or helping them walk away for a little while and then try to come back. Try giving your child specific jobs you know they can do to help them participate during the meal time. Such as setting the table, filling up water glasses, bringing food to the table, or telling everyone it is time to eat. What if my child is a super picky eater? If you know they won’t eat the food that is being served for dinner, make sure to bring food items you know your child will like to make sure they don’t go hungry. Don’t feel pressured to make your child eat in front of the family members, as this will be added stress on your child. You can talk to your child about polite ways to say no thank you to foods they do not like. What if a family member asks my child questions they don’t know how to answer? You can help your child in these situations, by answering parts of the question or giving your child more prompts to help them to understand how to better answer the question. You can rephrase the question to be yes or no, or you can ask the question in a way to help guide them to the answer. Remember, in all situations to remain calm and to show your child how to stay calm. If they start to see you get stressed and anxious those feelings can rub off onto your child and then they can start to feel more anxious and stressed. 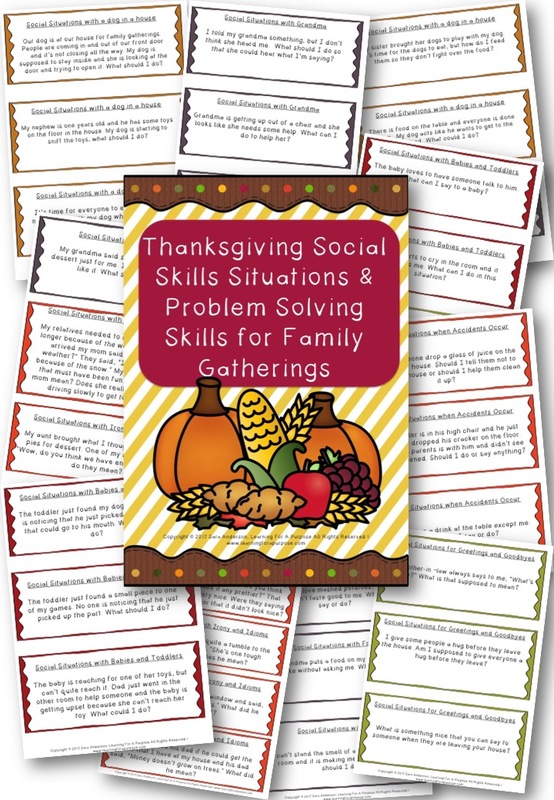 We have created a FREE download for you to help you and your child prepare for a family gathering, by providing you with various social situations you may encounter at a family gathering. 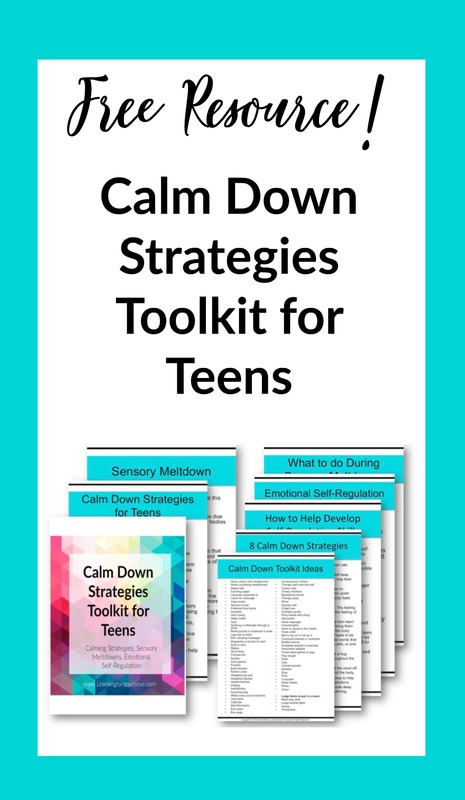 This allows you to opening talk about new and different situations with your child or teenager to help them prepare and understand some of these new situations. Various social situations include: topics with grandparents, toddlers & babies, dogs/animals, greetings & goodbyes, when accidents occur, situations with food, and irony and idioms. Download the FREE resource below by providing us with your name and email address and you will receive an email with the download in your inbox. The holiday season can be a time of newness and added stress. We hope these tips and the FREE resource can help you and your loved ones better prepare for the holiday season. Please let us know in the comments below if there are strategies that have worked well for your family! The more strategies we can give for families the better! The Holidays can bring up new and different social situations and this can be stressful for some kids. Halloween is fast approaching and we wanted to help provide you with strategies to help bring up some of these difficult social situations. One way to help your child understand different social situations is by talking through them. Help them develop a plan before they get in the situation. Practice makes perfect. Helping them problem solve before the situation, will hopefully help keep them safe and help them make good choices. Halloween can involve new situations with trick or treating, going out into the dark around the neighborhood, going to halloween parties, going up to strangers houses, talking with new people, scary movies, haunted houses, new foods, and dressing up in costumes. These can be new and different experiences where we are put in new social situations. We can help our kids by talking through some of these new situations ahead of time. 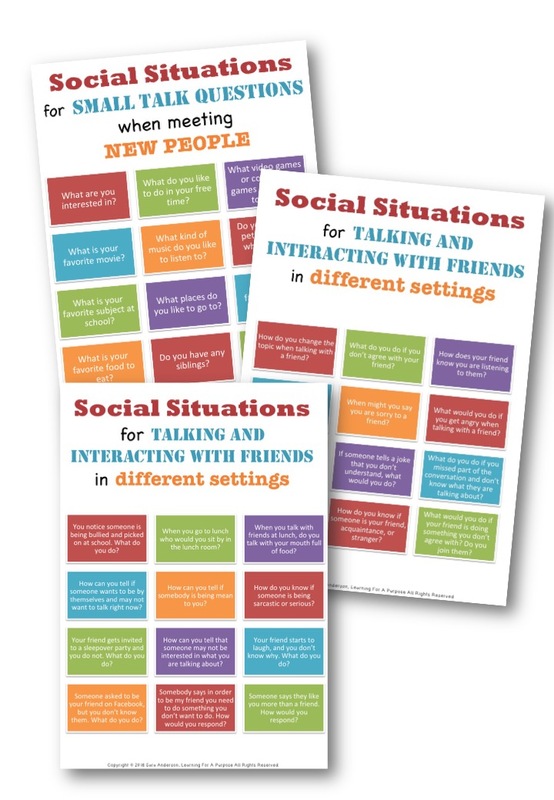 We have created a great FREEBIE to help you talk through some of these new social situations. 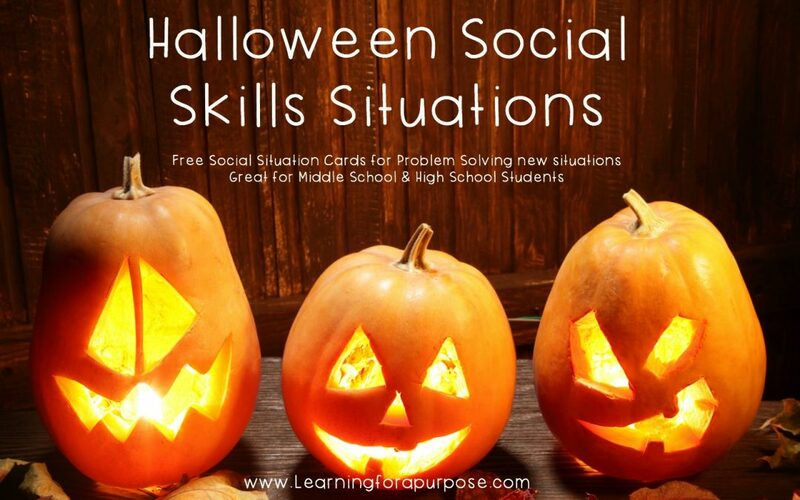 We have created Halloween Social Skill Situation Cards to help them problem solve different social situations. 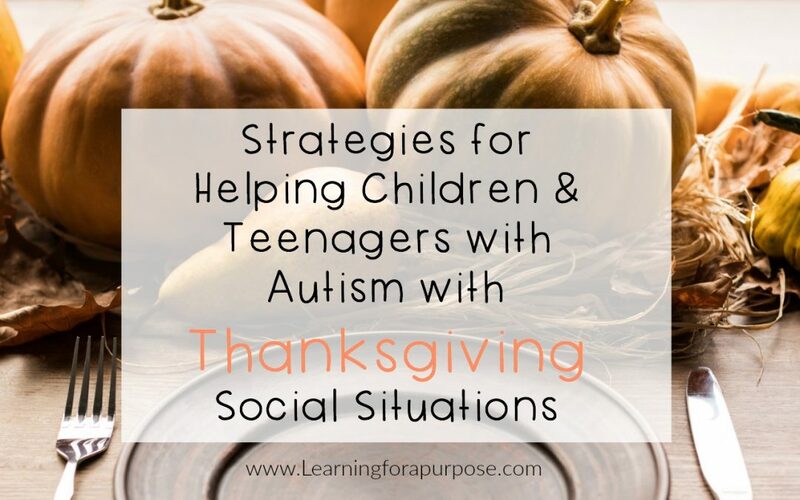 These are great social topics to talk through with your middle school or high school student. Download your FREE copy below by giving us your name and email! 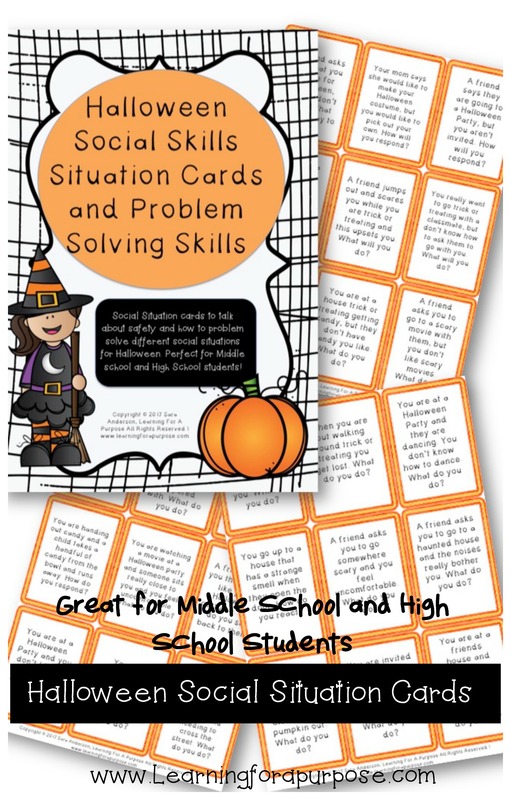 These cards help you address social situations for Halloween Parties, Trick or Treating, Talking with Strangers and MORE!! What social situations have you encountered over Halloween? How did you handle it with your child? Leave your comments down below! Are you looking for more Halloween resources? Check out our post about Tips for Halloween for Children with Autism and download your FREE Trick or Treating Social Story!! Are you looking for help with personal hygiene and Bathroom Life Skills? 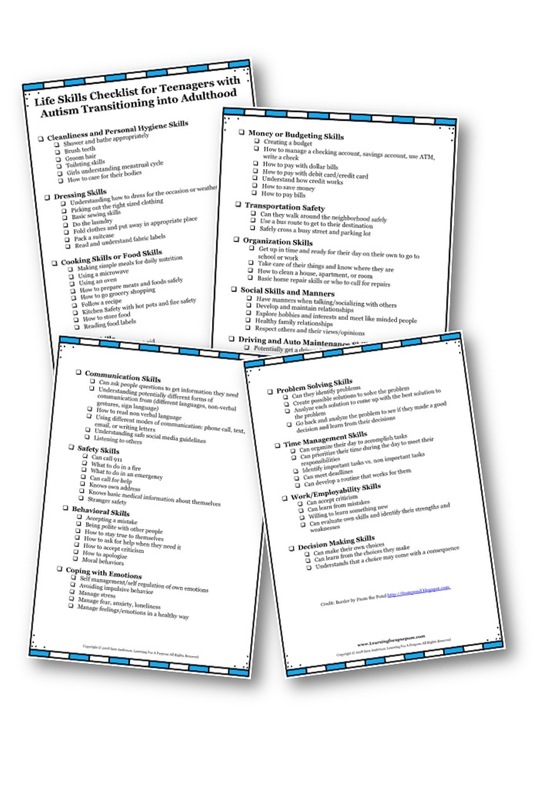 We created our FIRST EBOOK all about these skills and tips and techniques on how to help your child become more independent with these skills! Check our Everyday Life Skills Personal Hygiene Skills in the Bathroom HERE!